Let me start by saying that I hate matte lip products (except for Kat Von D—it's a staple of mine). They flake, ball up, and just don't give me the same feel-good vibes I get from a creamy, glossy finish. I was okay with it, and mostly just avoid them. 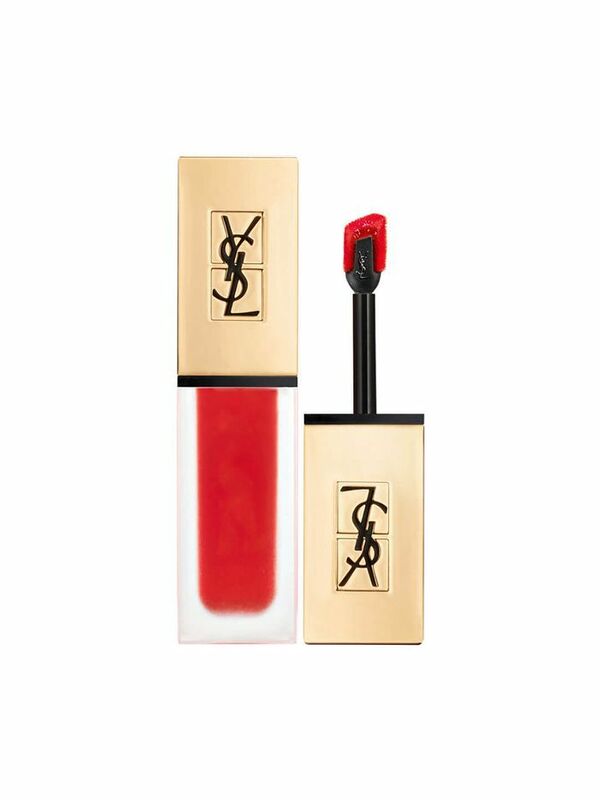 That was, until I became acquainted with YSL's latest offering. I'm a sucker for anything YSL (I mean, that packaging), so I tried, loved, and now I am obsessed. If you would like to know why, keep scrolling. So the formula is essentially a matte stain that you paint on using the artfully-designed brush. I tried the shade Rouge Tatouage, which is a bright, poppy red with a slightly pink undertone. It goes on very light, almost weightless, and takes maybe two minutes to dry down. And once it's on, my god is it on. It didn't budge for a whole night out (I'm talking dinner and drinks). It's soft, comfortable, and doesn't bleed or move all over your teeth (very wonderful when those tagged-in photos surface the morning after). Plus, I only reapplied once, but I get the feeling it would wear down to a pretty French-girl style tint. If you need more convincing, it launched in Mecca less than two weeks ago and has garnered four reviews so far, all of them five star. 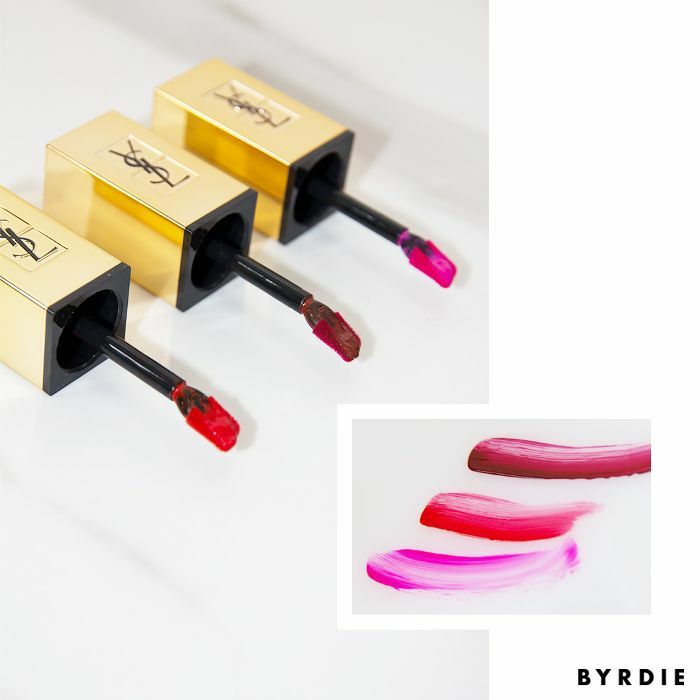 Sezza1 actually says that it's the "most amazing liquid lip ever". I agree.